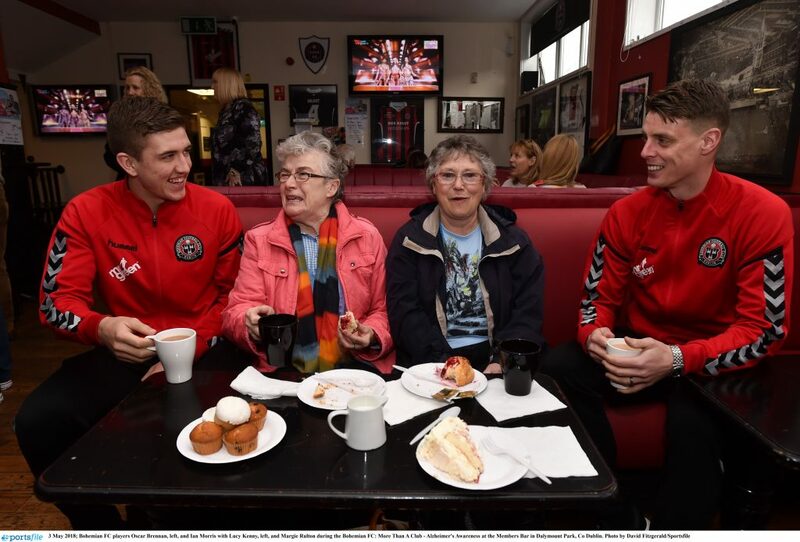 Dalymount Park was the scene for a unique coffee morning hosted by the Bohemian FC “More than a Club” staff. 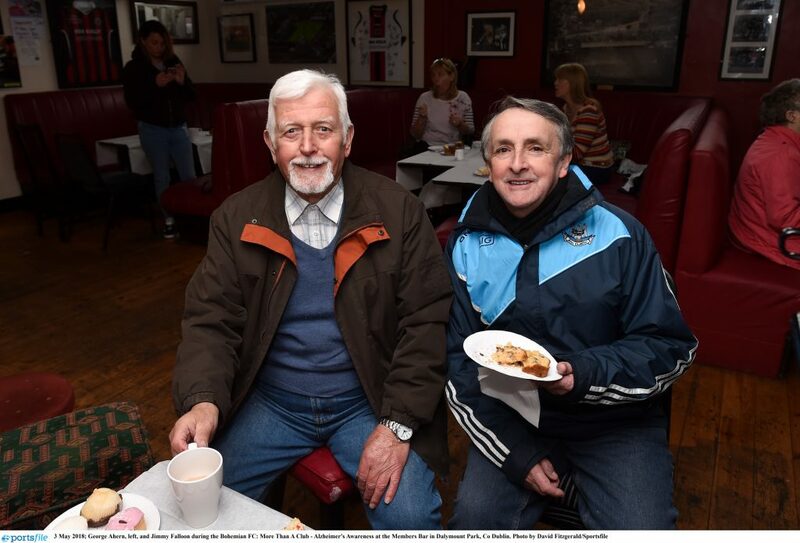 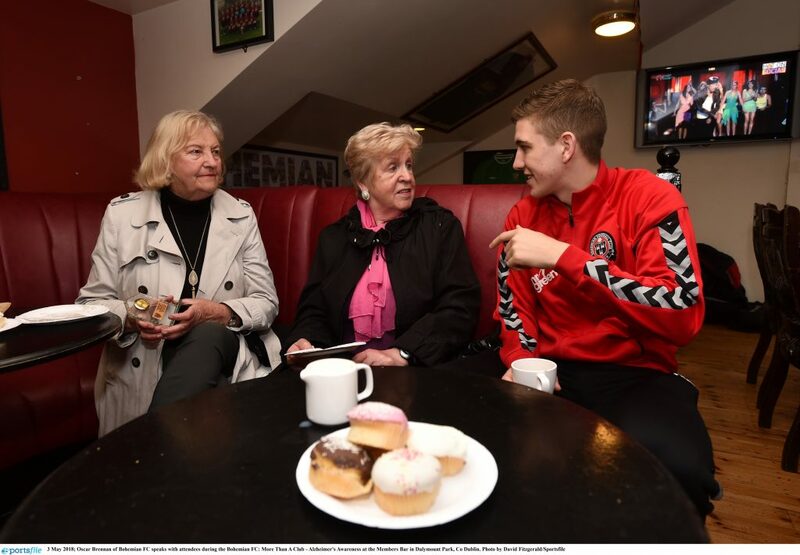 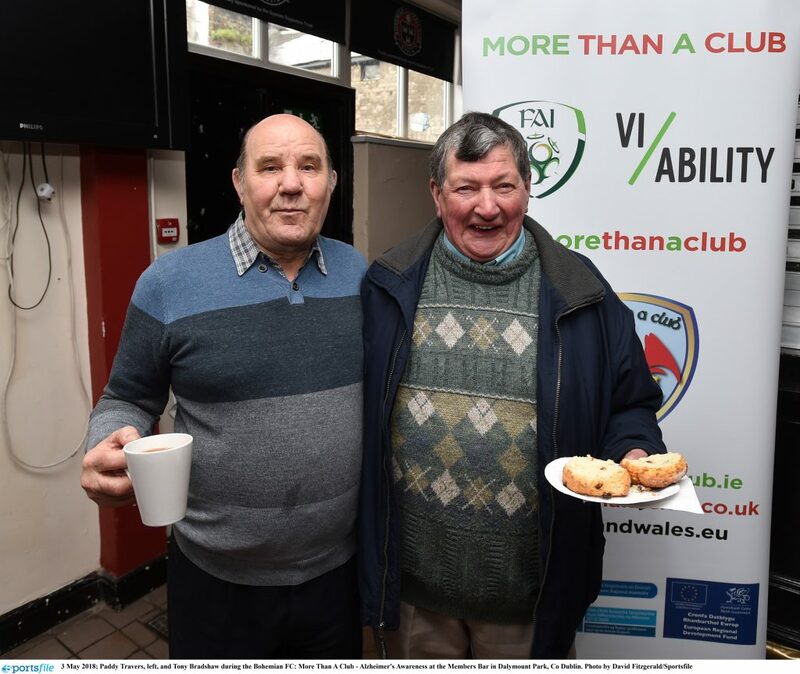 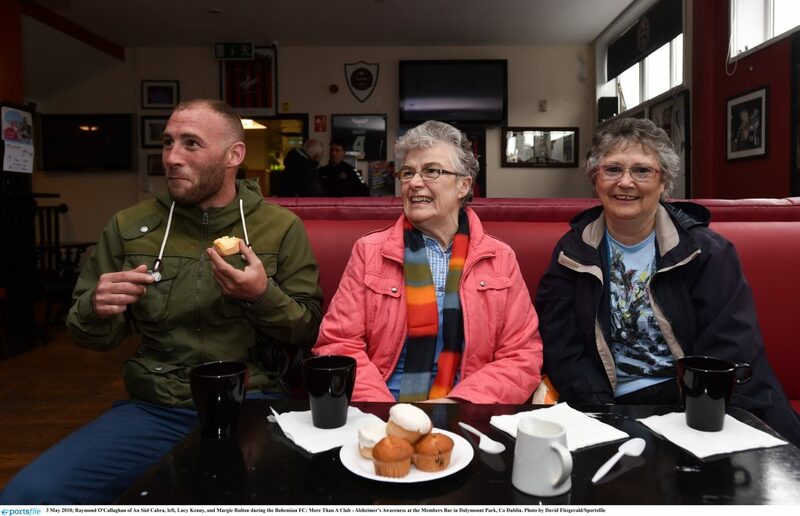 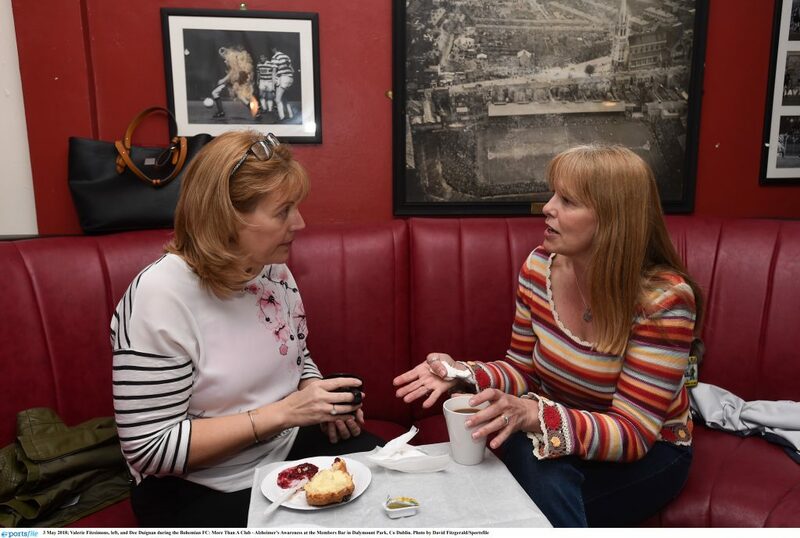 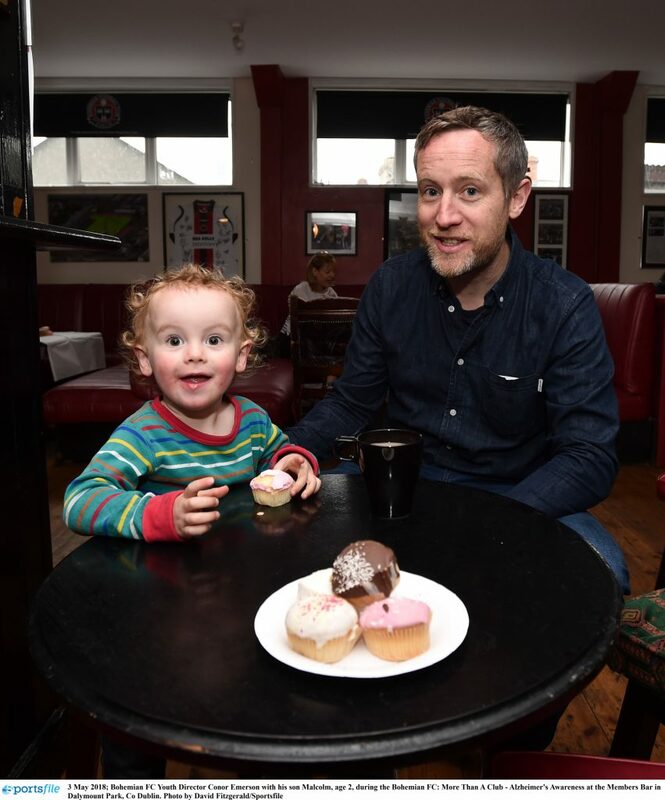 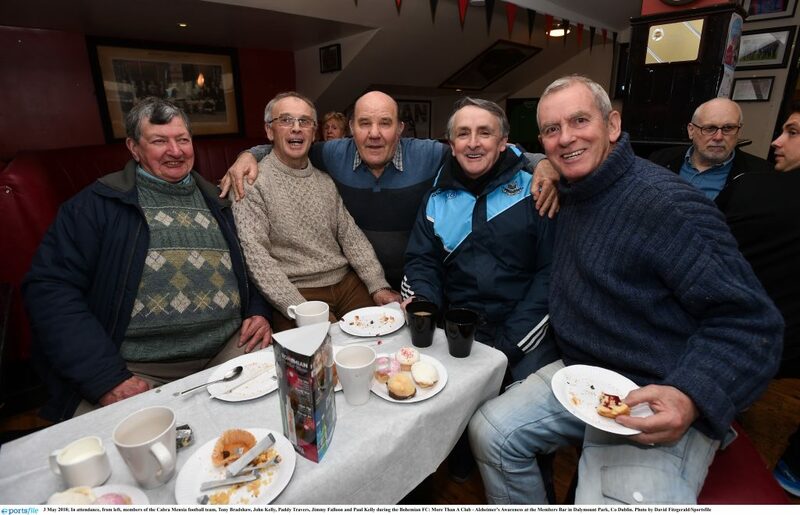 A healthy attendance at the “spiritual home of Irish football” gathered to have a tea and coffee and discuss all things football in aid of the Alzheimer’s Society of Ireland. 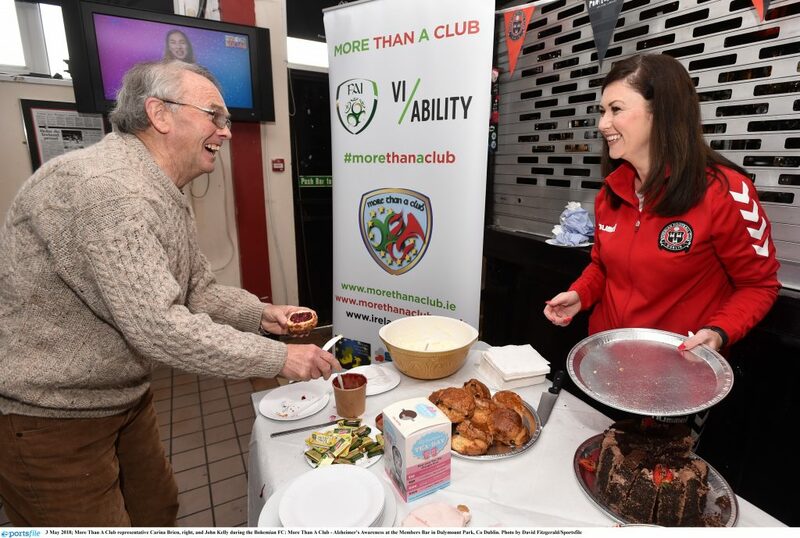 “More than a Club” is a project which aims to develop new social enterprises aligned with professional football clubs in Ireland and Wales which will design, develop and deliver innovative social programmes centred on health, education and social inclusion. 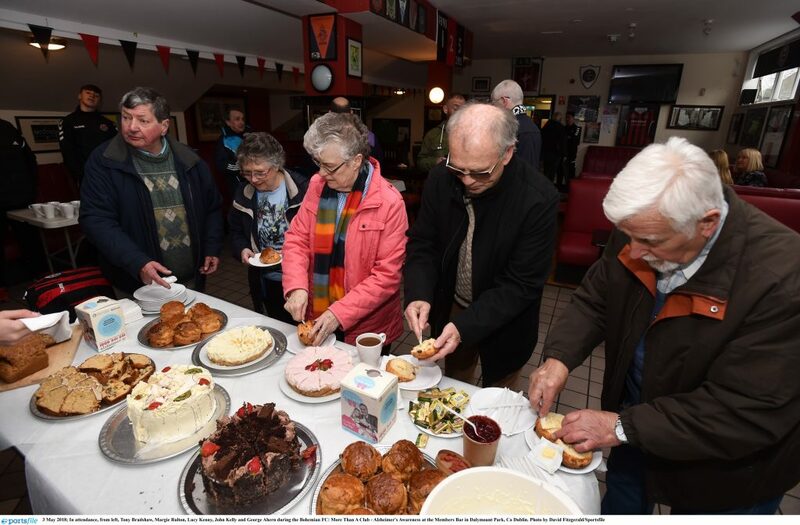 The pilot project is supported by the European Regional Development Fund through the Ireland Wales Cooperation Programme, which is helping to strengthen collaboration between Ireland and Wales to address common economic and social challenges. 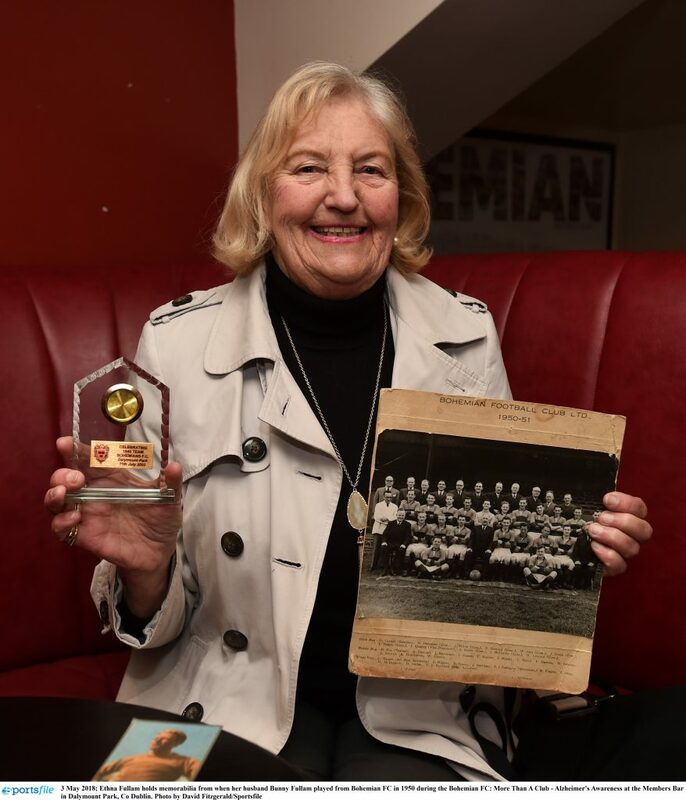 One of those valuable social programmes is called “Football Memories” which aims to facilitate a social gathering of elderly members of the local community, including some in the early stages of dementia and use the medium of football to spark happy memories and conversation about great football matches of the past. 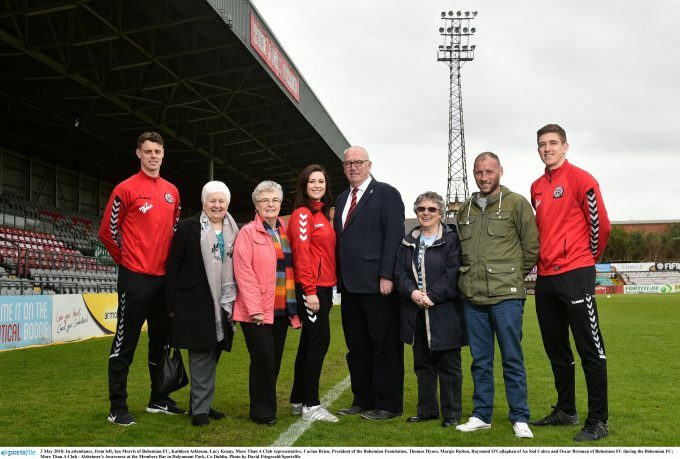 Indeed, Dalymount Park has been host to many such famous matches and provides a great backdrop for a programme such as this. 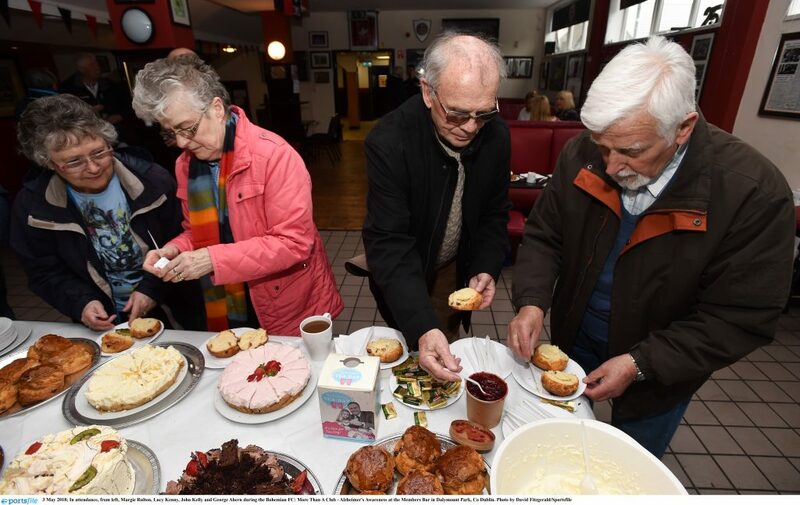 However, today was about raising awareness of the work of the Alzheimer’s Society of Ireland and raising some funds in the process through a thoroughly enjoyable social gathering. 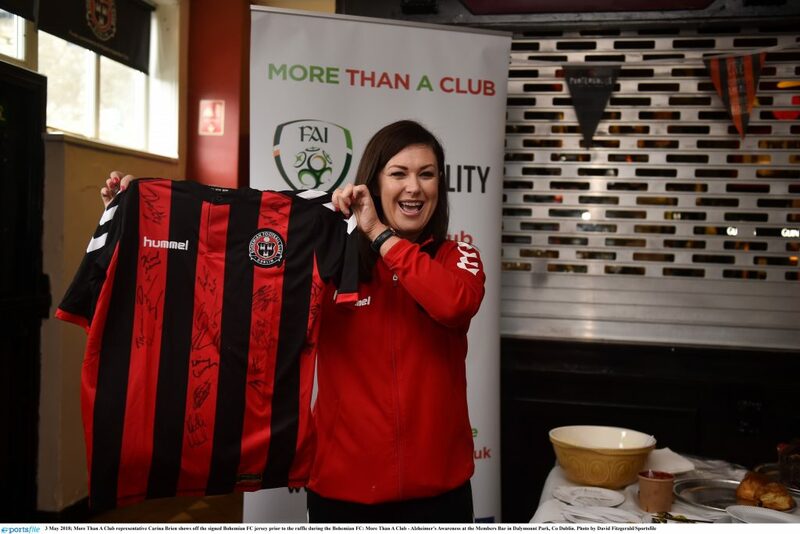 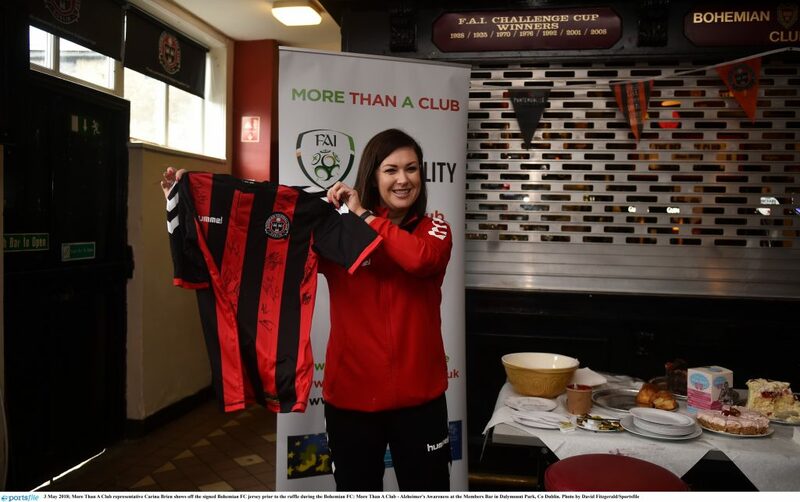 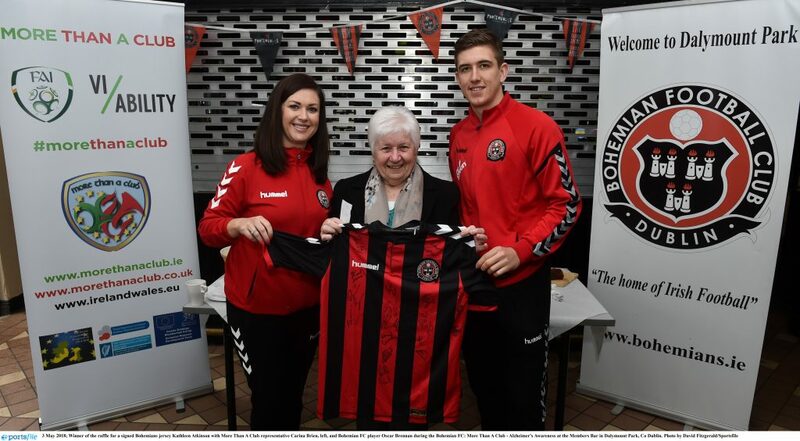 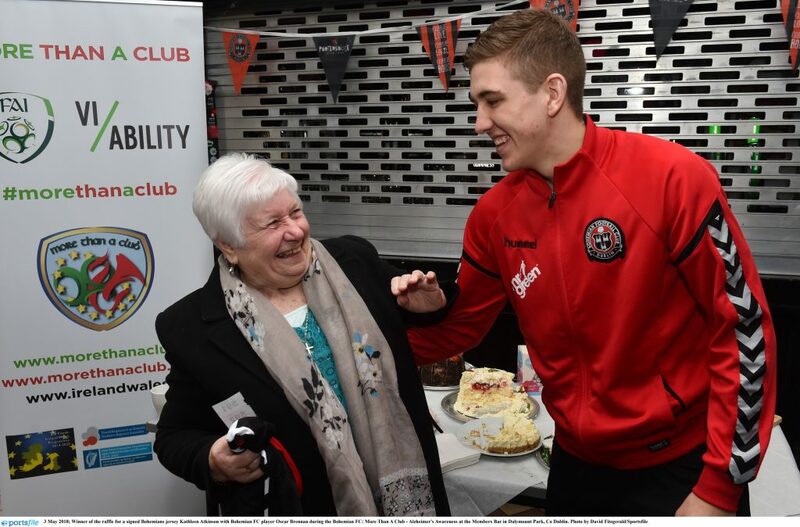 The More Than A Club staff Carina O’Brien, Shane Fox and Ger Coughlan and current Bohemian FC professional players, Oscar Brennan and Ian Morris were on hand to facilitate the successful event. 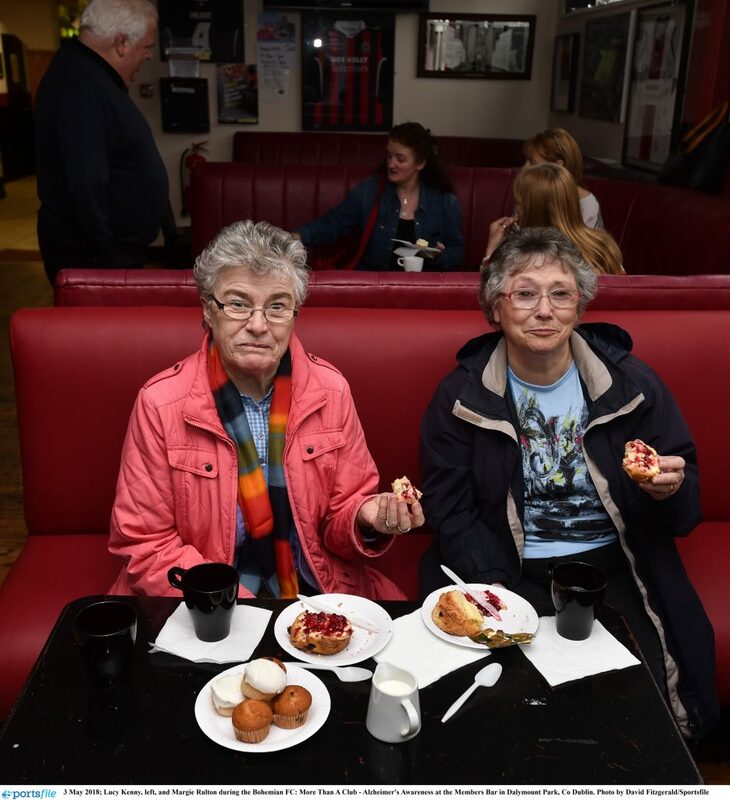 The group was also assisted by members of the Bohemian Foundation and enjoyed the cooperation of local community group An Siol.